Attributed to Philip Doflein, American, active 1831 - 1899. Probably made for Milford Glassworks, Milford, New Jersey, 1838 - 1860. 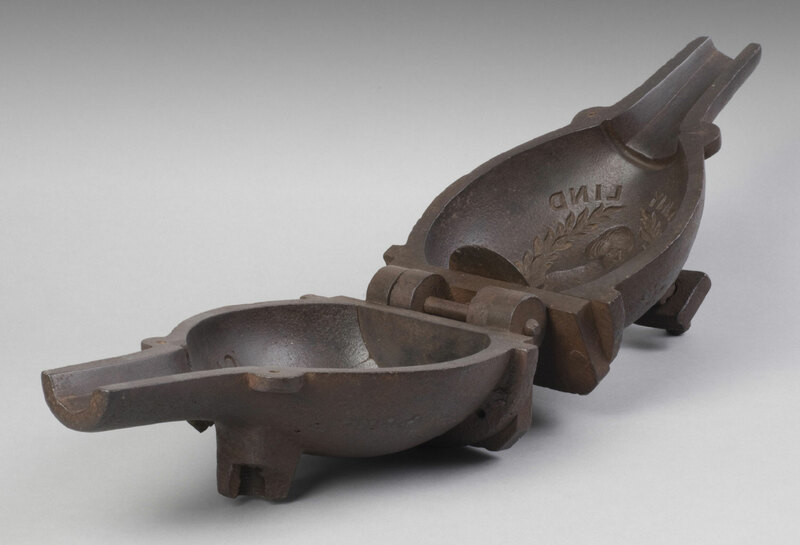 This mold may have originally been made for the Millford Glass Works in Millford, New Jersey. The lettering within the original mold had an error in the spelling of the factory name (Millfora instead of Millford) and an incorrect use of the apostrophe in the word WORK'S. At some point this mold was altered by moldmaker Philip Doflein. Doflein replaced the word MILLFORA and the initial G. with the word GLASS, and added the name of the subsequent owner of the mold, S. HUFFSEY.